Book a Syros to Donoussa ferry today with AFerry. Just use the form above and choose the route that you want. If nothing appears automatically, start typing Syros. You can also type the country or even the name of the ferry company you are interested in. When you have the route that you want, choose single or return and all the other options you want. If there is more than one ferry company operating on the Syros Donoussa route we will show you all the ferry companies, to make sure you get our best price. We'll also show you any routes similar to Syros to Donoussa so you have the complete picture when making your booking. And of course you'll also see a range of times just in case it's a bit cheaper earlier or later than your preferred booking time. Once you've chosen your perfect sailing and have made your booking we'll email you your booking confirmation for your Syros to Donoussa ferry. The majority of tickets have instant confirmation. Below you can see the ferry company or companies that sail on the Syros to Donoussa route and the journey times. You might also see some recent prices our customers have found. The best way to find a cheap Syros to Donoussa ferry though is to use the form above today to see all of our possible choices. 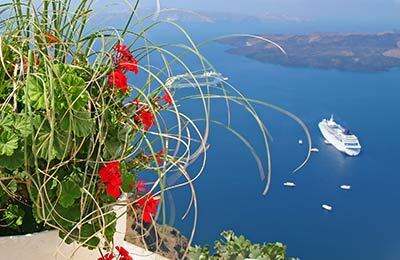 With AFerry we always give you our best prices for ferries from Syros to Donoussa. No matter which page you book from we always include all our special offers. And there is no need to look for a discount code. If we have an offer available, your ferry price will include the reduction or offer. There's no need to look at other websites. If you're not sure if the Syros to Donoussa route is right for you or you can't decide between ferry companies, if there is more than one, you might also find it useful to read any reviews we have available. We ask all our customers to send us reviews for Syros to Donoussa ferries. Remember though, that the earlier you book, the cheaper prices normally are. So don't spend too long deciding! 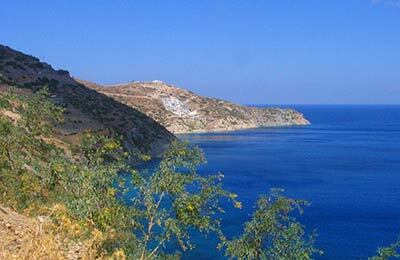 Syros to Donoussa is a popular route, so we advise you to book as soon as possible. The largest town on Syros is Ermoupolis, to the east of the island. Ermoupolis is a popular town, with a harbour that is lined with small cafés, bars and restaurants shaded by palm trees. Ermoupolis is home to the Miaouli square, which is one of the most beautiful squares in Greece. Ermoupolis also has many magnificent churches, including the Agios Nikolaos and Metamorphosis churches. Things to do in Ermoupolis include visiting the Archaeological Museum. The town of Ano Syros is the island's second town. Ano Syros was built by the Venetians at the beginning of the 13th century and maintains a medieval atmosphere with narrow streets and marble steps. Syros also has many beautiful beaches; the beaches of Magas Gialos and Galissas are particularly popular. The whole of the island has one of the smallest populations in the Cyclades, with only 130 inhabitants. The port of Stavros is very small yet incredibly pretty, and the small, secluded beaches of the village are second-to-none. Although there are no large towns on the island, there are still many things that entice you to the island including the fokospilia, a cave that is known to be a sanctuary for local wildlife such as seals. In Stavros itself, there are a couple of small, traditional tavernas that serve up many Greek delicacies as well as freshly caught seafood, and the Church of Panagitsa situated at the top of the mountain in Stavros village, which is a highlight for photographers who wish to see an incredible Cycladean sunset.